President Bill Destler will address the RIT community today in Ingle Auditorium as part of the Open Administration series. 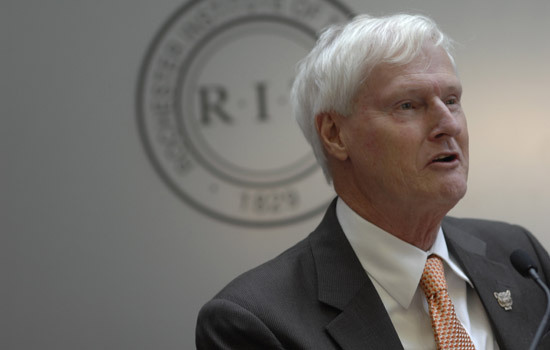 President Bill Destler will address the RIT community at 3 p.m. today in Ingle Auditorium as part of the Open Administration series. He will discuss the university’s cost-containment strategies. The presentation will be streamed live at www.rit.edu/president during the event. A recorded copy with captioning will be made available on the site later in the week. Slides from the presentation will be posted later today at www.rit.edu/president/open_administration.html. Interpreting services will be provided in Ingle.